Banned Books Week, which took place Sept. 23-29 in the United States, is an event that celebrates the freedom to read, as well as the exchange of ideas that results. Founded in the early 1980s by librarian and activist Judith Krug with help from the American Library Association, Banned Books Week raises awareness about efforts to remove books from the shelves of libraries and stores. GEMS World Academy Chicago, a premier private school, supports and celebrates Banned Books Week. Reading and literacy are key components of the International Baccalaureate curriculum framework in place at GEMS. The school also utilizes the Reader's and Writer's Workshop program developed at Columbia University, a model built on close & critical reading, writing in a broad range of genres and topics, and frequent peer-to-peer exchanges. Emily Smith, the librarian at GEMS, says that the mission of Banned Books Week fits well with the school's commitment to reading and literacy. "It is vitally important that students have access to a wide range of thoughts, ideas and perspectives in order to become truly global citizens," Ms. Smith said. "Banned Books Week is a great reminder of the importance of providing students with the ability to access and read diverse viewpoints. It's also a great opportunity to have conversations with students about literature that has been challenged or banned and why intellectual freedom and the ability to choose what we read are so important." According to the American Library Association Office for Intellectual Freedom, there were 354 challenges to materials in public libraries, schools and universities during 2017. In those challenges, 416 books were targeted. Among the most targeted books last year were The Kite Runner, by Khaled Hosseini, a novel about the friendship of two boys in Afghanistan; To Kill A Mockingbird, Harper Lee's classic novel that explores issues of racism in the American south; and The Hate U Give, by Angie Thomas, a novel for young adults about a young African-American girl who witnesses the police shooting of a childhood friend. During Banned Books Week, the library at GEMS World Academy included a display of the covers of challenged books with QR codes that allow students to find the titles in the library. 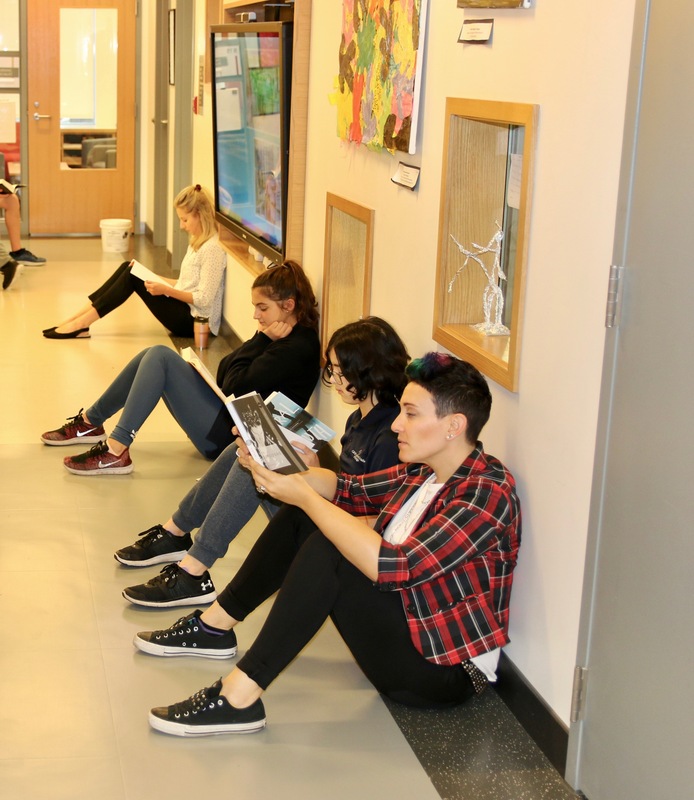 In addition, older students at the school (and their teachers) participated in a "Read-In," during which they spent advisory periods at the beginning of the day reading books in their classrooms, out in the hallways, even in the stairwells. "I love the enthusiasm we've seen in the school about Banned Books Week — it's a librarian's dream," Ms. Smith said. 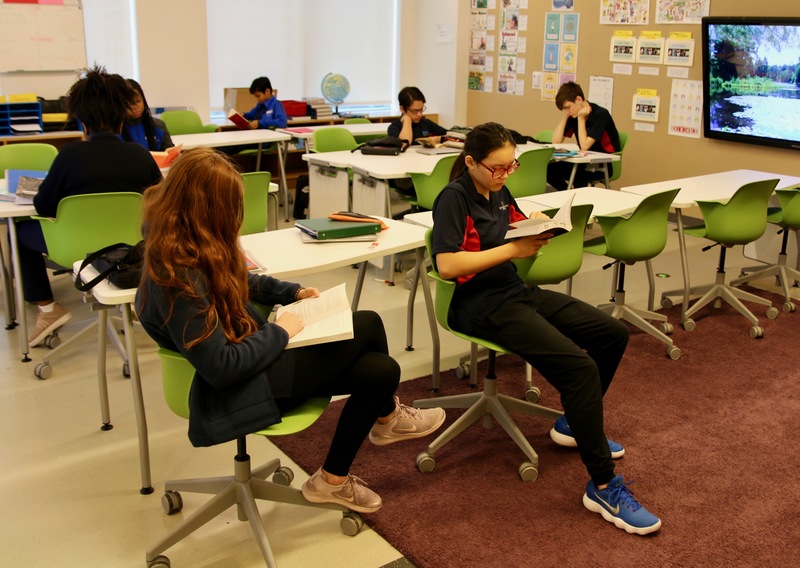 By engaging with multiple viewpoints and diverse ideas through books, students at GEMS develop a nuanced view of the world, one that will help them connect and communicate with different groups of people while also taking leadership roles as the problem-solvers of the 21st century. Submit this form to request information about GEMS World Academy Chicago.